What if America accidentally created her biggest enemy? That question is the basis for Ben Coes’ latest Dewey Andreas novel, titled First Strike. When ISIS starts to run low on guns and ammo, their leader, Tristin Nazir, blackmails a government official (who secretly helped create them) into sending them one last very large weapons shipment. That’s where Dewey Andreas enters the picture, after the United States government catches wind of the shady deal. 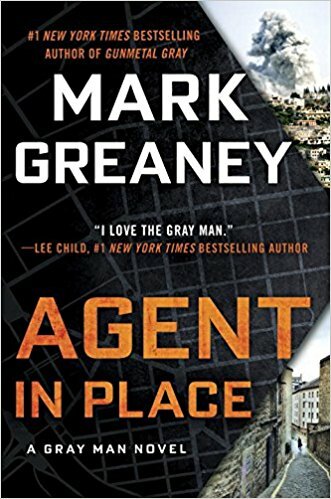 Dewey heads to the Middle East, a part of the world he’s not all that fond of, to assist in an operation that at first glance seems simple enough. 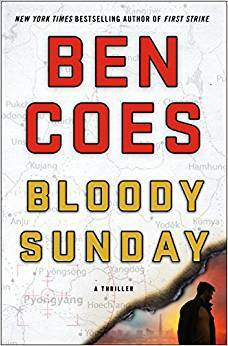 However, as often is the case with Coes’ novels, things quickly take an unforeseen turn as the plot unfolds. What appears to be a victory for the United States and the rest of the world soon proves to be just the beginning of an even bigger crisis. ISIS isn’t going to just lay down and accept that their weapons shipment isn’t coming. Instead, they launch an operation designed to twist America’s arm into giving them exactly what they want. An ISIS terrorist cell takes control of a Columbia University dormitory, holding hundreds of students hostage. They issue a demand and vow to execute one student for each hour they are made to wait for their weapons shipment. To make matters worse, it’s revealed that the daughter of a high-ranking government official is currently among the students being held at gunpoint. Whenever someone pushes the panic button, Dewey Andreas is the man who comes running to save the day. This time, though, the odds are stacked against Dewey more than ever before. The entire ordeal is a game of impossible decisions. Do you give ISIS the weapons they’ll need to conquer the rest of Syria and other parts of the Middle East to save the lives of a few hundred college students-–or do you refuse to hand over the weapons no matter what, even if it means letting ISIS behead the innocent students one by one? Like I said, it’s an impossible situation. It’s also terrifying, considering that none of what Coes wrote seems to be outside the realm of possibility in today’s world. Anyone paying attention to the current headlines around the world knows just how capable ISIS is of these types of inhumane, vile, and barbaric actions. 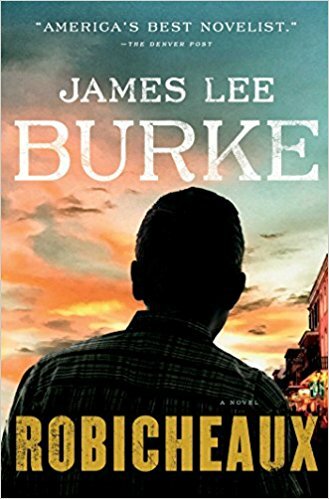 First Strike, which is without a doubt Coes’ best book yet, is a heart-pounding thriller that is impossible to put down! 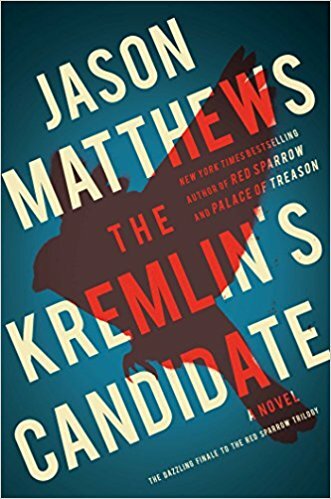 Who Might Enjoy It: Any and all fans of political thrillers. 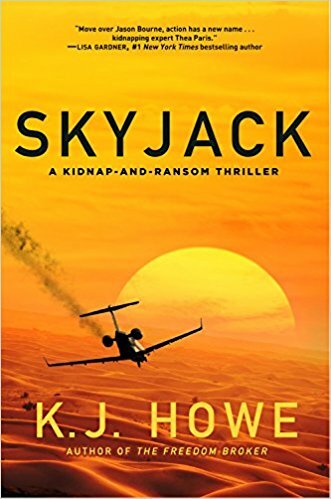 Coes writes with the same precision and expertise that fans of Vince Flynn and Brad Thor have come to expect. Of all the books I’ve read this year, nothing has come close to the nonstop action that Coes has crammed into First Strike. This book has it all, and then some. 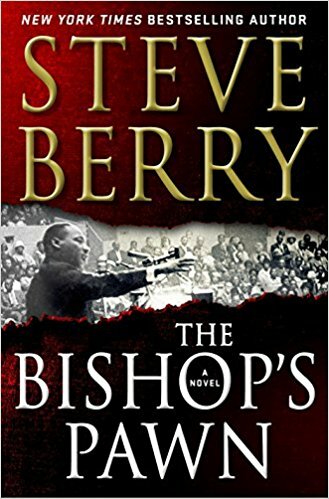 Buy it and read it–you’ll thank me later! 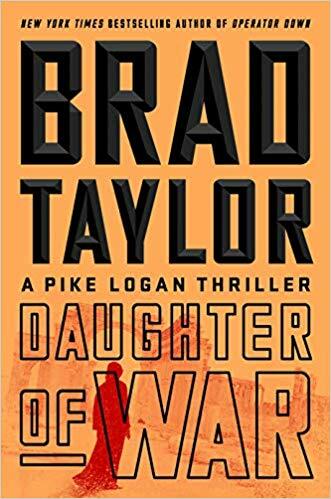 Brad Taylor’s latest Pike Logan thriller picks up just four months from where his last novel (The Forgotten Soldier) left off. Pike, Jennifer, and the rest of their team members are still in limbo as they await word about the Taskforce’s future. Sanctioned by the president, the Taskforce, a group of highly trained super-soldiers, operates outside of the federal government’s authority. Technically speaking, their existence is illegal, and they answer only to the president and a small panel of individuals. Colonel Kurt Hale’s official title is CEO of Blaisdell Consulting. Unofficially, he’s in charge of assigning the Taskforce operators their missions. It was one of his guys who went rogue just a few months prior, seeking revenge for the death of his brother by killing several members of the Qatar government. That incident and all that followed put the president in a tough spot, which put the Taskforce in a tough spot. Until the smoke clears, they’re all laying low after a stand-down order from the commander-in-chief himself. They simply cannot risk being exposed, as that would lead to everyone, including the thirteen-person oversight committee, being prosecuted. Without any Taskforce-assigned work, Pike Logan and Jennifer Cahill agree to a meeting with Israeli operatives–-Aaron and Shoshana-–who have a job proposal for them. The job in question would require the use of Pike and Jennifer’s company, Grolier Recovery Services. When the stakes are raised and the objective of the mission changes, Pike and Jennifer are suddenly needed in a big way. 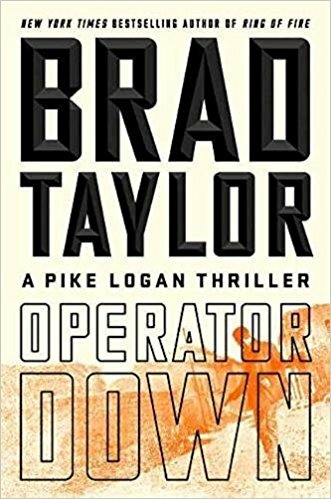 Soon the bullets are flyin’ in typical Brad Taylor fashion as he continues to churn out some of the most realistic and adrenaline-pumping action sequences in print today. 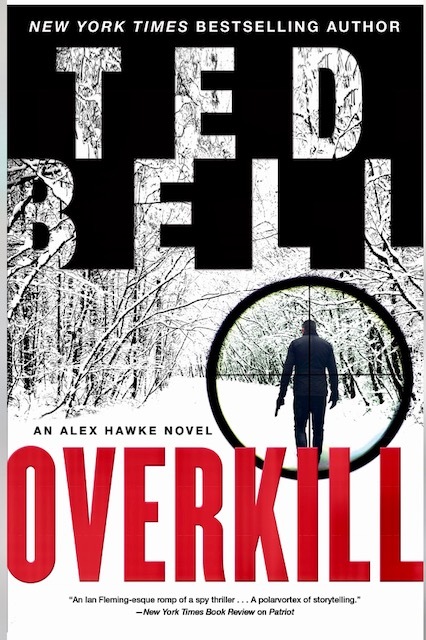 Who Might Enjoy It: Fans of military thrillers, especially those who already follow Brad Taylor’s work. Ghosts of War takes Pike and Jennifer away from their regular work in the Middle East and pits them against a Russian antagonist. 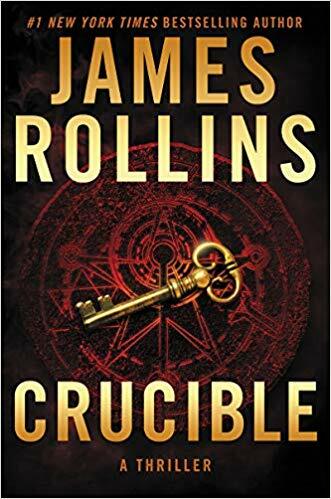 That was a brilliant move and a refreshing change of pace for a series that has quickly grown to ten books in just five years. In my opinion, this is Taylor’s best book yet! Ethan, a twenty-something barista at a coffee house, is at work one day when a “monster” from his past walks in. The monster is a child molester who kidnapped and held Ethan captive when he was just a young kid. Ethan, upon seeing him, snapped. Following the man outside, he stabbed him with a sharp knife he swiped from inside the coffee house. Minutes later, the police showed up. Ethan had been in a violent haze and was shocked to realize what he’d done–-though he wasn’t sorry. The monster had to go. He couldn’t be allowed to hurt any more children, Ethan thought. When questioned by the police, Ethan explains that the man had kidnapped and sexually assaulted him years ago. They promised to check out his story, but there’s one problem. Ethan was held captive, and he was assaulted-–but there is no official record of the events or his rescue. Why? Because he was rescued by a man known only as Scorpion. Scorpion, of course, is the callsign of Jonathan Grave. 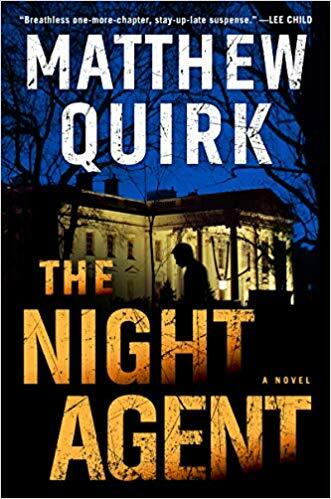 Grave, the former Delta Force operator turned freelance hostage rescue specialist, works outside of the law. He operates in the shadows, helping those in need who have nowhere else to turn. After returning home from another mission, Grave’s team tells him about Ethan, whose story is all over the news. As the team discusses Ethan’s situation, it’s revealed that there were many suspicious circumstances surrounding his case more than a decade ago. Things never quite added up, and worst of all, the bad guy had gotten away. The mission itself was still a success, though, as the “precious cargo”–-Ethan–-was rescued. 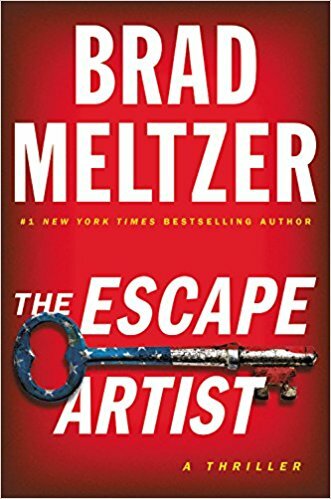 With the nature of his business being so secretive, Grave knew that Ethan was likely sitting in jail trying to explain why he killed the man, without any way to prove his story. Once again, Ethan needs to be rescued. And once again, there’s much more than originally meets the eye. 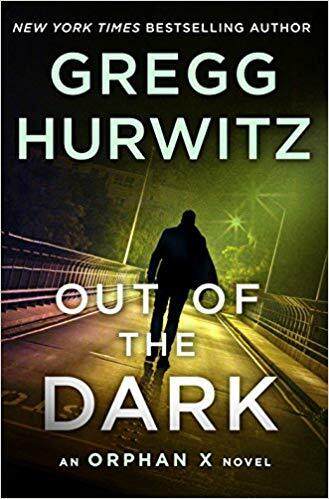 As Grave and his team start to learn the truth about the man who kidnapped Ethan years ago, they uncover a much larger and dangerous plot hidden beneath the surface. 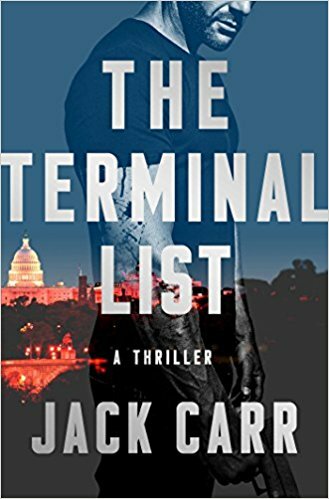 It turns out that the dead man had ties to a terrorist group, and a devastating plan had recently been put into place. With an attack on the United States looming, it’s once again up to Jonathan Grave to save the day. 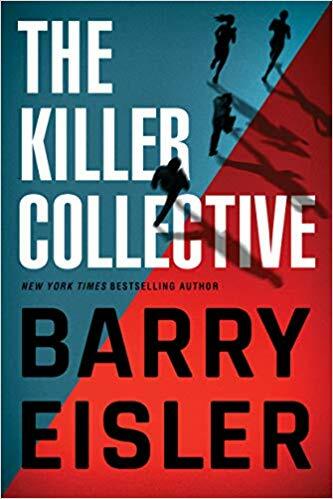 A blistering thriller that grabs your attention and doesn’t let go for a second, Friendly Fire is four-hundred-plus pages of pure awesomeness! 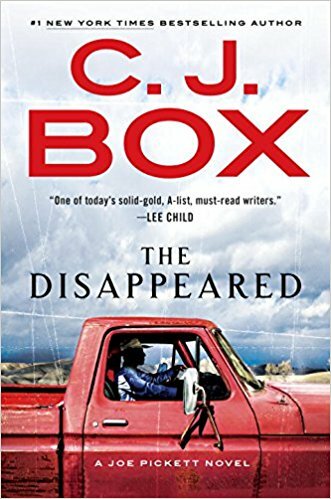 Who Might Enjoy It: John Gilstrap is a wildly underrated author. 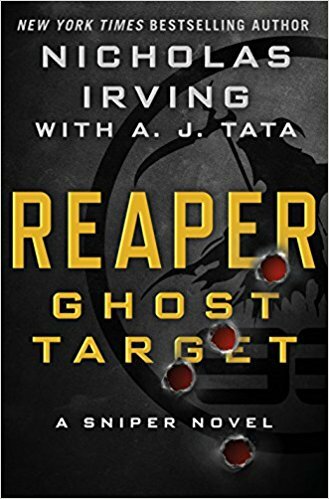 His Jonathan Grave series is every bit as good as the other heavyweights of the genre and is comparable to Ben Coes’ Dewey Andreas and Joseph Finder’s Nick Heller. If you’re a fan of those guys and haven’t already checked out Gilstrap’s work, you really need to! Hood opens with Mason and Zeus, both returning from Clear by Fire, running an operation near the Turkish-Syrian border. Mason, who is once again trying to clear his name, has agreed to a deal with the CIA that is supposed to be a simple smash-and-grab job. And then things go wrong. It takes just two pages for Hood to turn up the heat, after the team’s sniper announces that he has no shot at a roving enemy threat. 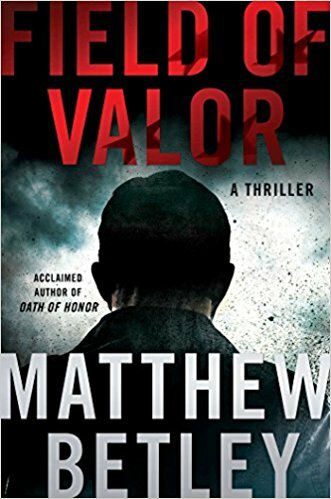 Mason, the ex-Special Forces soldier who was originally part of the Anvil Program–-a blacker-than-black-ops squad of elite operatives–-neutralizes the threat himself. The bodies keep falling from there as the action kicks into high gear and never lets off the pedal. Also back is fan-favorite Renee Hart, the DOD operative who is by all accounts the strongest female character in the genre today. Renee is smart, good-looking, and absolutely lethal. Essentially, she’s a knockout who can actually knock you out, in the same vein as UFC star Ronda Rousey. Renee is rushing to connect with Mason, believing he and Zeus are about to walk into a trap. 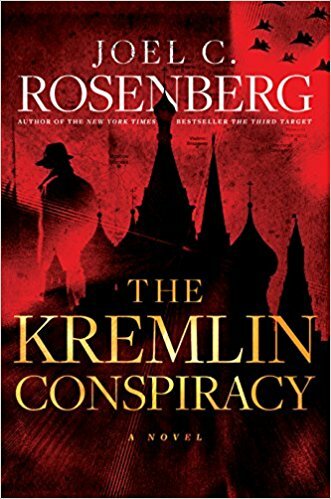 It turns out that an old Army buddy of Mason’s, a man named Boland, might be a traitor who is secretly working with the enemy. Worse, Boland is the one currently leading Mason and his team on the ground. Renee hops on a chopper with her own team, hoping to make it to Mason in time to warn him. As she nears his location, she loses all communication with the soldiers on the ground. Suddenly, a series of gunshots rings out, and Renee realizes she is too late. Boland had led them right into an ambush. Hood, a decorated combat veteran and former member of the 82nd Airborne, who is currently a full-time SWAT team member in Memphis, has already made a name for himself by writing some of the most realistic and authentic action scenes in print today. 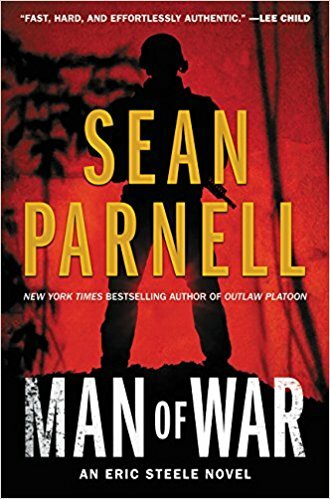 His books are gritty, often providing insight into the mind of a soldier and the transformation they go through as they evolve from civilians to trained operatives. By doing so, Hood provides a glimpse behind the curtain that most people never get an in-person look at themselves–-and it’s riveting. As the plot charges forward, Mason ends up taking on the most savage, barbaric group of terrorists currently walking on the face of the earth: the Islamic State. Warning Order is a bloody, heart-pounding thriller that stings with authenticity from top to bottom. 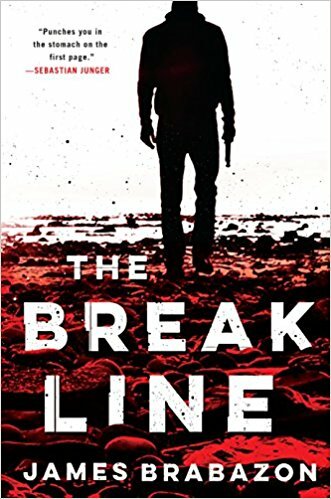 Joshua Hood continues to make a name for himself, taking one more step towards joining the likes of Brad Taylor, Ben Coes, and Mark Greaney as the best military thriller authors alive today. 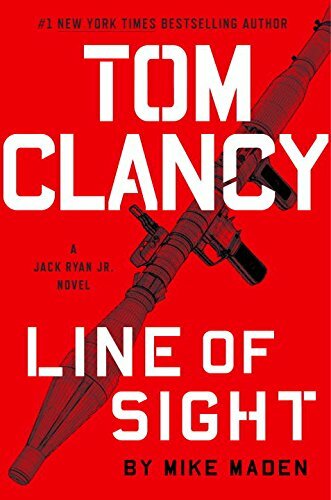 Who Might Enjoy It: Last year, Joshua Hood kicked the doors to the military thriller genre off the hinges with his explosive debut novel Clear by Fire. This year, Hood has topped himself with Warning Order, the second book in his gritty, action-packed series following elite super-soldier Mason Kane. 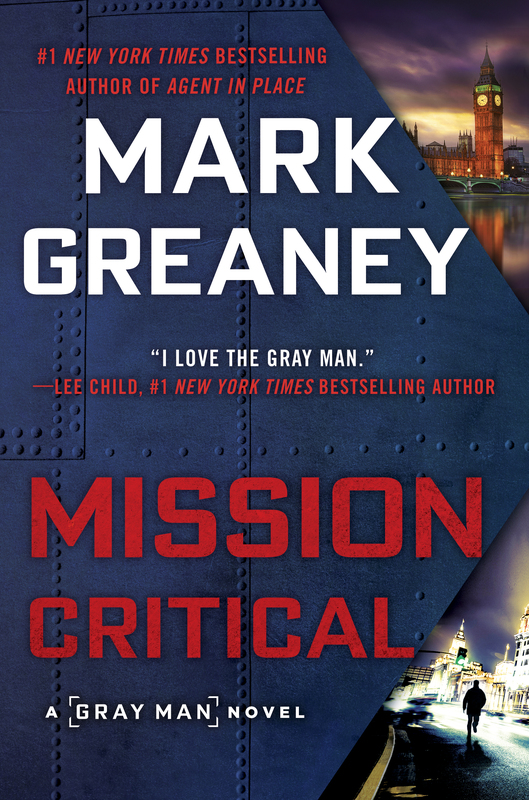 If you like nonstop action and gritty military thrillers, add this to your must-read list.